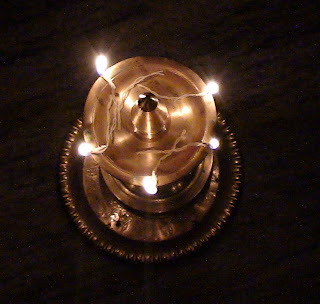 One of my Favourite photos that i took using the standard digital camera..
A nice picture.I always loved such lamps.they bring a divine ambience. and also to our minds na? thanks for the comment lakshmi. Beautiful picture Shravan. As light symbolizes all things positive, the picture conveys a message too. Best wishes. k you for the hit ayesha. and thanks for the wish. nice snap....da composition is beautiful!!! by His grace the flame was in frame !! thank you for dropping in dubu.